Nobody was surprised when the Washington Redskins chose Robert Griffin III as the second overall pick in the 2012 NFL draft. The starting quarterbacks amazing speed and strong arm were already well known. However, during Roberts first season, the Redskins struggled. 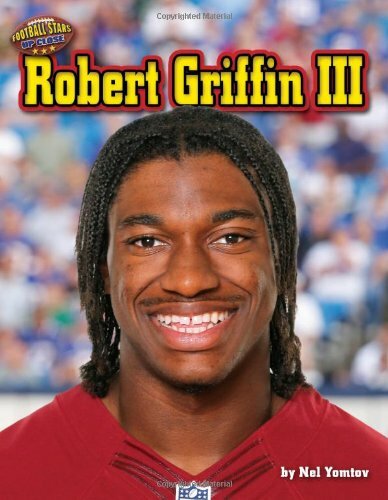 The young quarterback, known by his fans as RGIII, never gave up, though. Despite suffering from a recurring injury, he was able to lead his team to a late-season comeback and a spot in the playoffs! In Robert Griffin III, young readers get a close-up view of the quarterbacks inspiring journey from his childhood in Texas, through his college years at Baylor University, all the way to NFL stardom. Large, full-color photos paired with engaging, simple text will keep sports fans on the edge of their seats as they cheer on Robert through his amazing career.